Source: Derived from data available at Dave Leip’s Atlas of U.S. Presidential Elections. 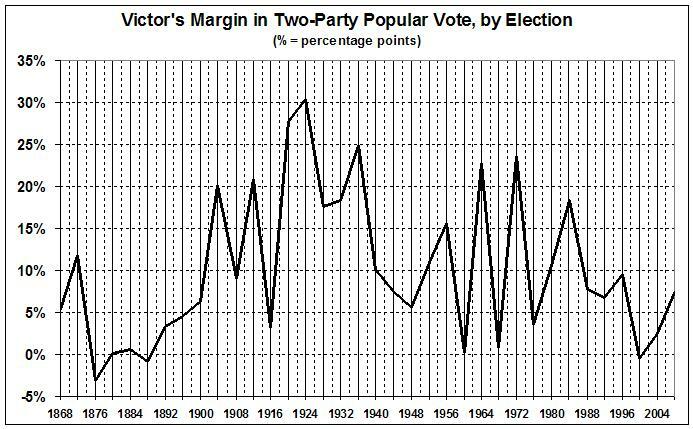 If the closeness of recent elections (as measured by the popular vote) means anything, it means that the United States is about as divided is it was in the the last quarter of the 19th century, when the passions surrounding the Civil War still raged in the country. Not that there’s anything wrong with disunity, as long as you’re on the right side of it. Nor is unity desirable when it revolves around statists (like the Roosevelts and LBJ) or criminals (like Nixon and Clinton). 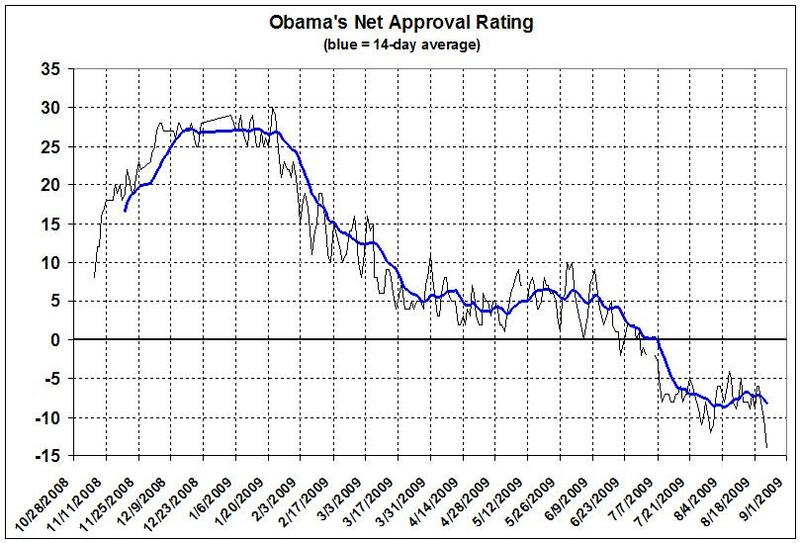 Source: Derived from the presidential tracking poll at Rasmussen Reports. On the subject of voters’ remorse — for that is what it is — I note that just before the election of 2008 Democrats led Republicans by 47 percent to 41 percent on Rasmussen’s “generic congressional ballot,” whereas the most recent poll (August 16) has Republicans ahead of Democrats by 43 percent to 38 percent. This entry was posted in Electoral Politics and tagged voters' remorse. Bookmark the permalink.